Illinois Tech Robotics is the only active extracurricular robotics club at Illinois Institute of Technology. Robotics members often volunteer with high school robotics clubs around the Chicago-land area. In the past, members of Illinois Tech Robotics have volunteered to mentored teams for the FIRST LEGO League and FIRST Robotics Competition. The members of Illinois Tech Robotics assist clubs from its start with its formation all the way to competition. It is not unusual for members to travel with teams to assist them at competitions. Part of Illinois Tech Robotics volunteering philosophy is no matter the lack of financial resources, experience, or time of the ones in need, the club will always do its best to assist those that need it. 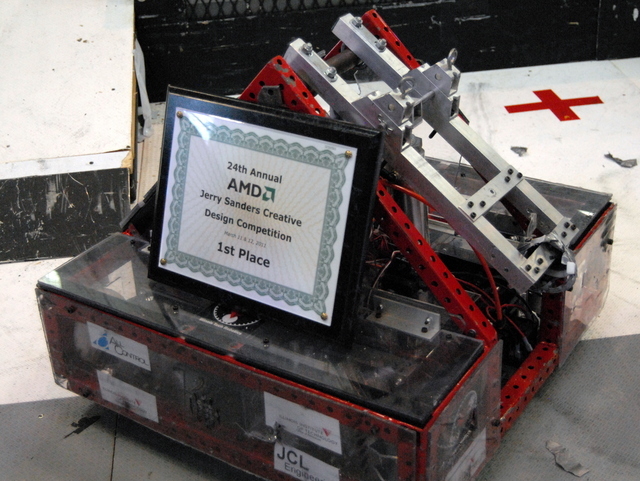 In addition to volunteer work, the club also actively engages in personal robotic build projects and competition events. Members are free to explore their personal intellectual projects within the spectrum of robotics, and likewise fellow club members are available to assist in the achievements of individual visions within the best capacity of the club. Professor Dennis Roberson, Vice Provost of Research at IIT and member of the FIRST Board of Directors, is one of our faculty advisors. Our other advisor is Sabrina Fesko, an Assistant Director for IIT Corporate Relations. Our advisors have been a tremendous help and a valuable addition to the team since its conception.